Gene banks are biorepositories, which preserve the genetic material of the organism for long-term storage and subsequent utilization of the bioresource in a sustainable manner. Unlike biodiversity hotspots, these are manmade repositories, which conserve the biological material under in situ or ex situ conditions, by simulating the ecological niche. The status and nature of the taxa actually define the conservation strategy required for its preservation, and accordingly various technology-driven methods have been developed across the globe. However, conservation measures need to be adequately compensated not only to make them self-sustained but also to reward the communities concerned, as they are the custodians of this biological wealth and the associated traditional knowledge. The signatories to the Convention on Biological Diversity (CBD), armed with the provisions available in its article for access to genetic resources and benefit sharing (ABS), have formed a legal framework to protect their biodiversity and interest. A judicious and balancing strategy, on a case-to-case basis, formulated by the member countries linking their preserved germplasm with bioprospecting efforts, will certainly pay dividend in the future. We gratefully acknowledge the Directors of NIT, Calicut; JNTBGRI, Thiruvananthapuram and Vice Chancellor, Central University of Kerala (CUK) for extending all logistic and infrastructure support, in the preparation of the manuscript. 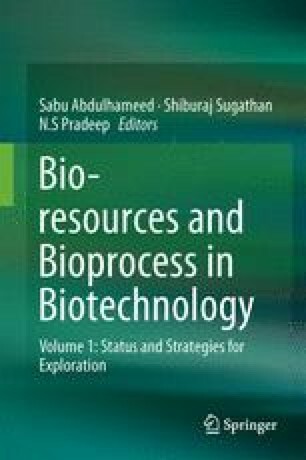 We also thankfully acknowledge the Department of Biotechnology, Government of India, for supporting the National Gene Bank Programme at JNTBGRI, as some of the data from the cited programme was reproduced in the text.